We're thrilled to partner up with Seamus Golf to offer these special-edition Hundred Hole Hike headcovers (HHHH?) available. Seamus Golf is an Oregon-based maker of handcrafted fine woolen golf accessories, including tartan wool golf headcovers that beautifully blend traditional European inspirations with modern lines and simplicity. 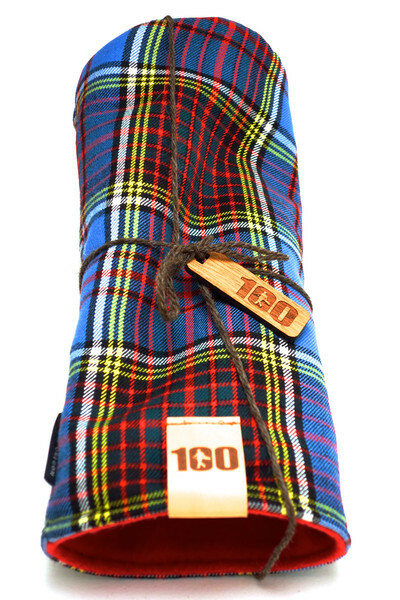 The exclusive and special edition Hundred Hole Hike Driver cover is based on the Anderson Clan tartan with a unique Red Fleece lining. The headcover comes with a custom HHH-logoed leather label and includes a custom wooden tag and hand tied woolen yarn. A portion of the proceeds from the sales of the headcover will be donated to One Divot to support its grow the game initiatives.